Interface Audio Fluid Audio SRI-2. 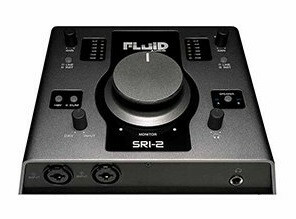 The Fluid Audio SRI-2 is a solid piece of home recording technology. Although it has no groundbreaking features as an audio interface, it can convince with a child-friendly installation, a clear operating concept and good sound. 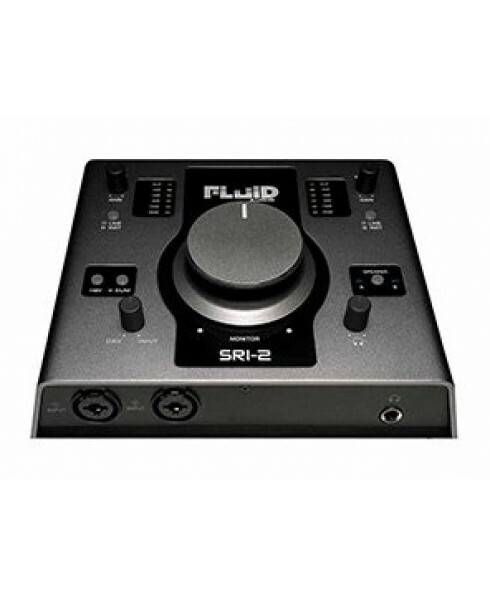 The Fluid Audio SRI-2 is a solid piece of home recording technology. Although it has no groundbreaking features as an audio interface, it can convince with a child-friendly installation, a clear operating concept and good sound. In addition, it has a monitor section, which is equipped with a strong headphone output and last but not least has the ability to control two pairs of speakers. The fact that the SRI-2 does not need its own power supply is another advantage. Its oversized volume control and the lighting of almost all elements are real highlights. Only the separation of the two recording channels in the montoring takes some getting used to. The Fluid Audio SRI-2 should therefore be interesting for all of you.